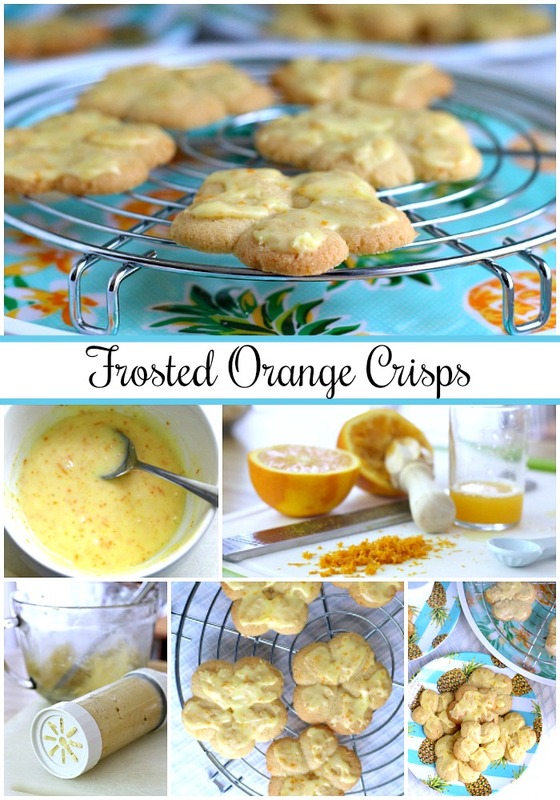 Frosted orange crisps are cookies flavored with orange in the dough and topped with a light orange frosting. 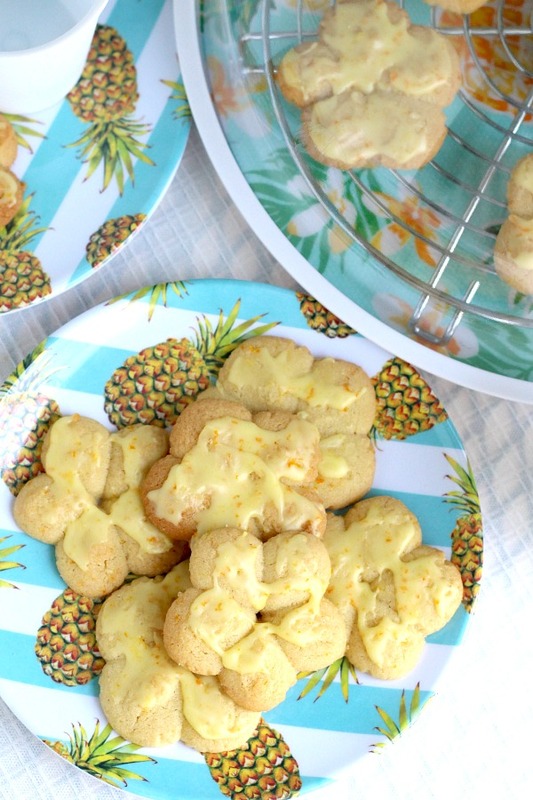 They are crisp, tender and the citrus provides a nice surprise in each bite. 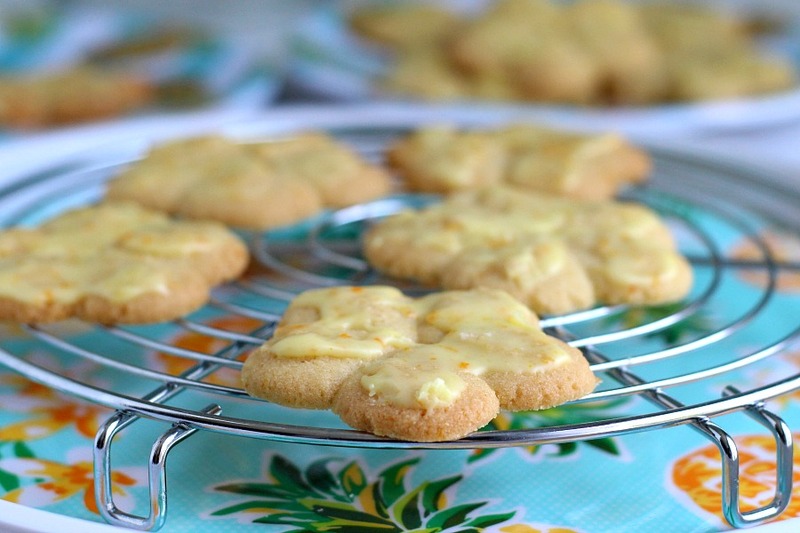 The cookies are made using a cookie press similar to spritz or shortbread cookies but they are a little sweeter. 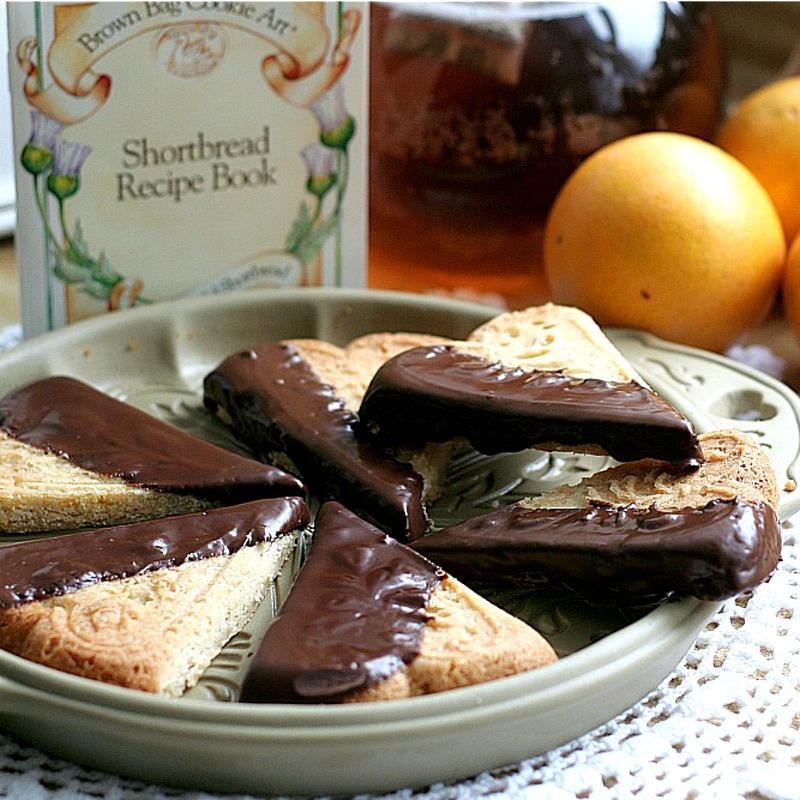 Perfect with a cup of tea, coffee or glass of milk. 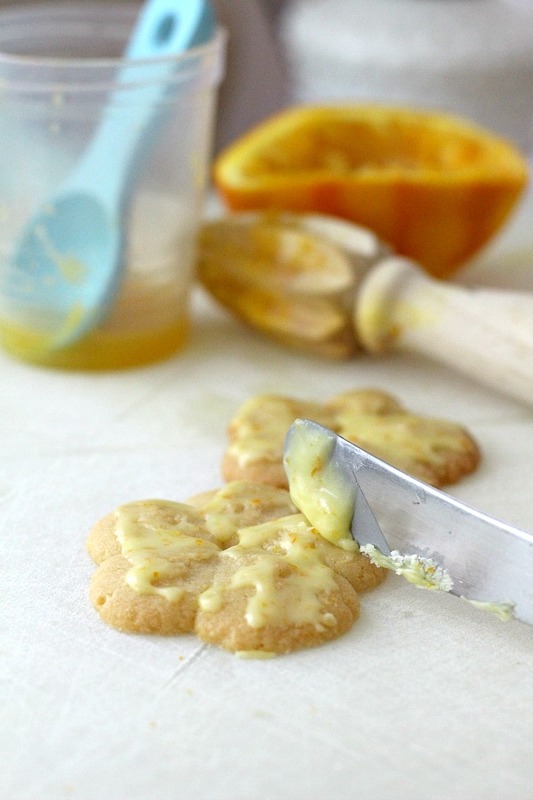 Begin by zesting the orange using a microplane or zester to measure 3 teaspoons (to be divided for cookies and frosting). 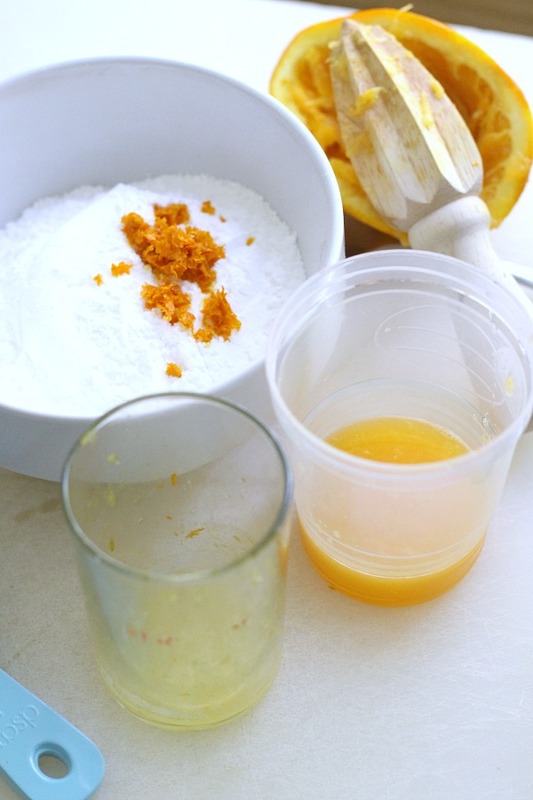 Then, use an orange reamer or squeezer, measure 3 tablespoons of juice (also to be divided for cookies and frosting). Whisk together the flour, baking powder and salt; set aside. 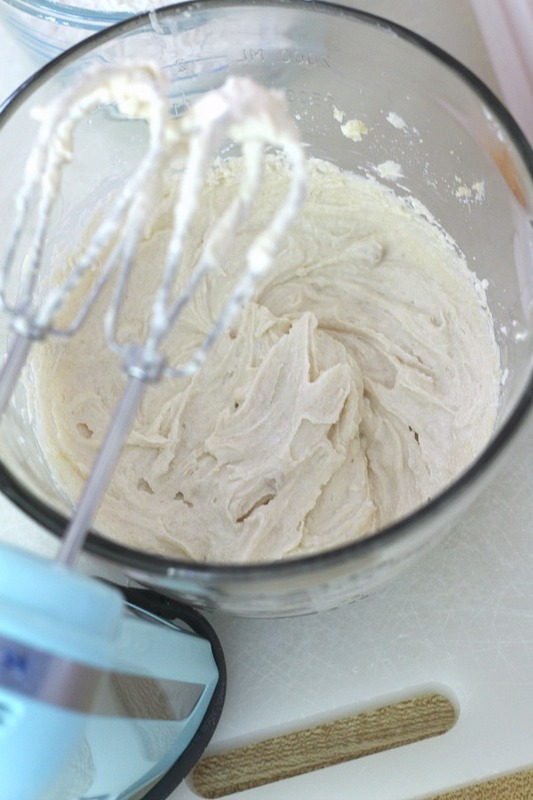 With a mixer, cream together the sugars, butter and shortening. 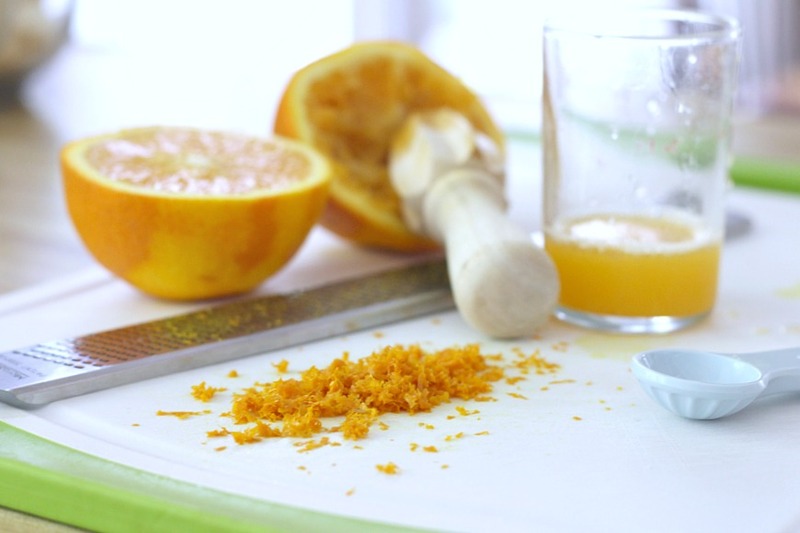 Add the egg, zest and orange juice, beat until incorporated. 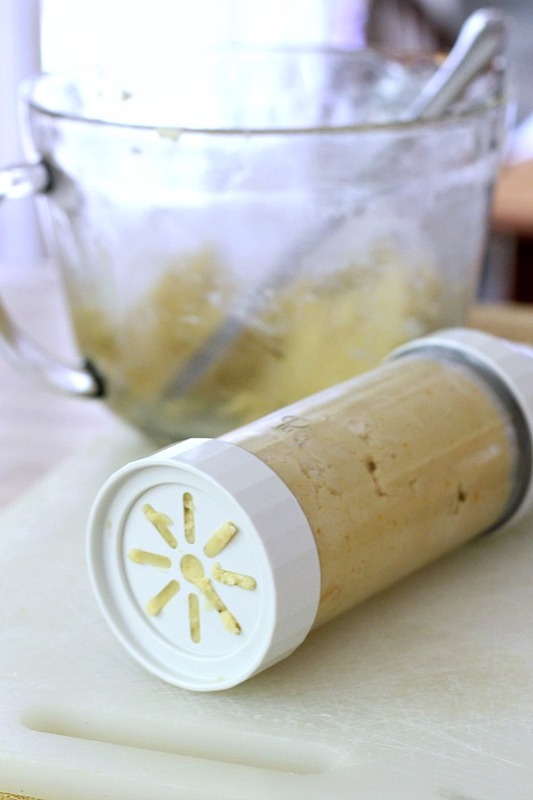 Fill cookie press with dough. Press cookies onto ungreased cookie sheets. Bake until light brown for about 10-11 minutes. Allow to rest 1-2 minutes then remove to wire racks to cool. 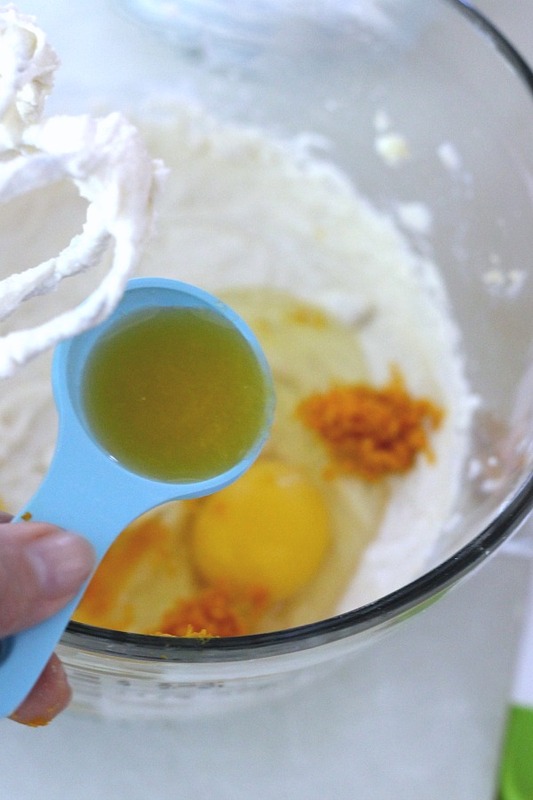 Combine frosting ingredients in a small bowl. Spread a light coating of frosting onto each cookie. Allow the frosting to harden a few minutes before storing. 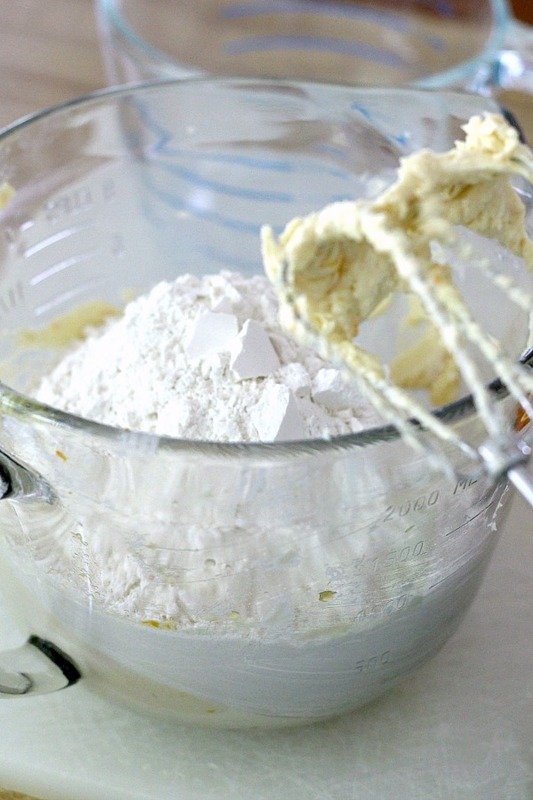 In a mixer bowl, cream together the softened butter, shortening, white and brown sugar. 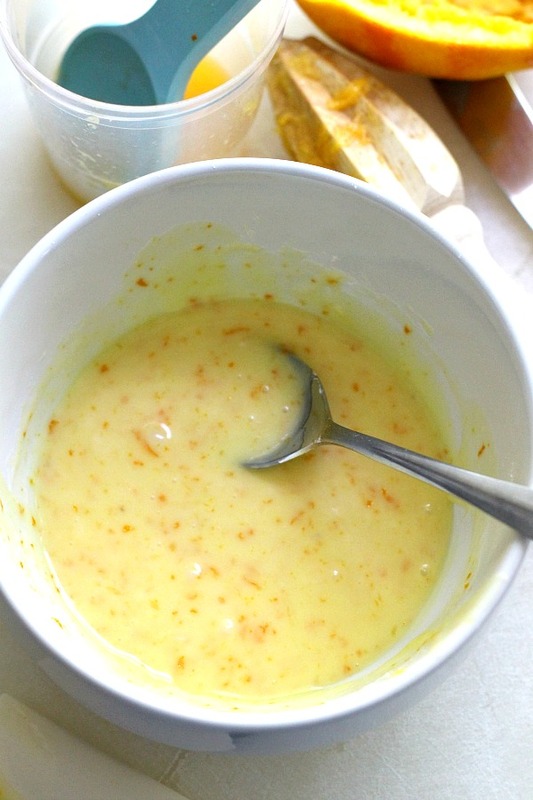 Add the egg, orange zest and orange juice; mix. 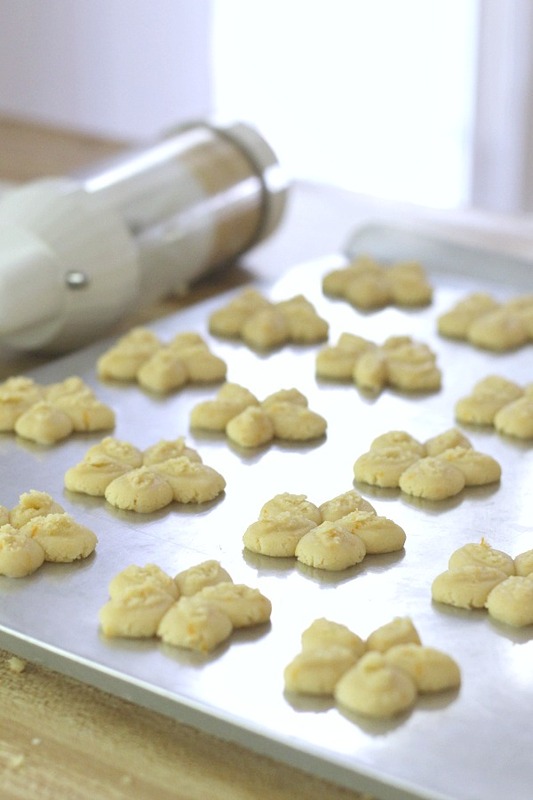 Fill a cookie press with dough and form cookies on an ungreased cookie sheet. Combine frosting ingredients and stir until smooth. 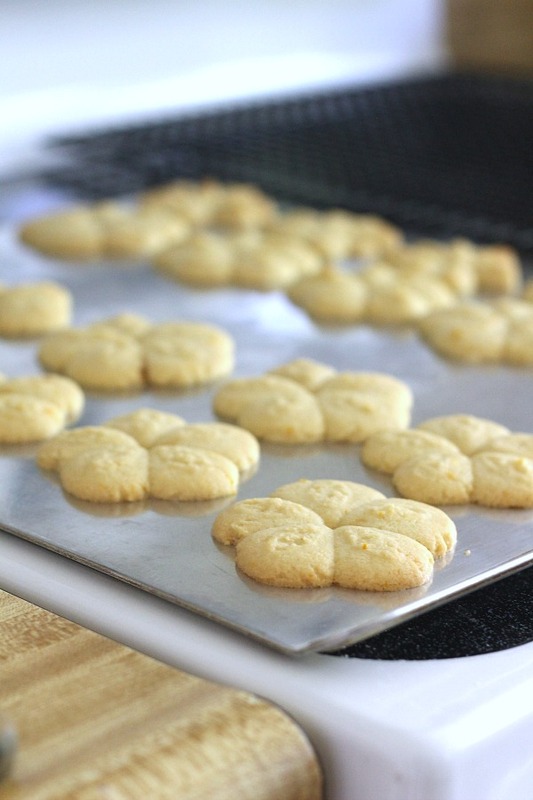 Spread a light coating onto each cookie and allow the frosting to harden before storing.